My kids had Monday off in observance of Columbus Day. Do you know what they asked me on Tuesday? When is our next day off of school? Of course they did. I kid you not, they have only had one full week of school this entire school year. On Monday I shared how I am bringing rattan swivel chairs back into the mainstream. Although, in fairness, I’m not sure the mainstream knows I’m doing this. Or cares. On Wednesday I wrote about a recent thrifting trip to Antiques on Broadway in Jim Thorpe, Pennsylvania. I can’t stop thinking about my visit to this neat town! Also, if you missed it, my leather pumpkin was featured over at Funky Junk Interiors. Definitely check out her description of my project. It made me laugh and blush! Now onto the Happy List! I’m sorry if this is too soon. One holiday at a time. I GET IT. Just pretend this wrapping paper says “Happy Birthday” or “Just Because You’re Awesome Day.” Or some other equally important holiday. 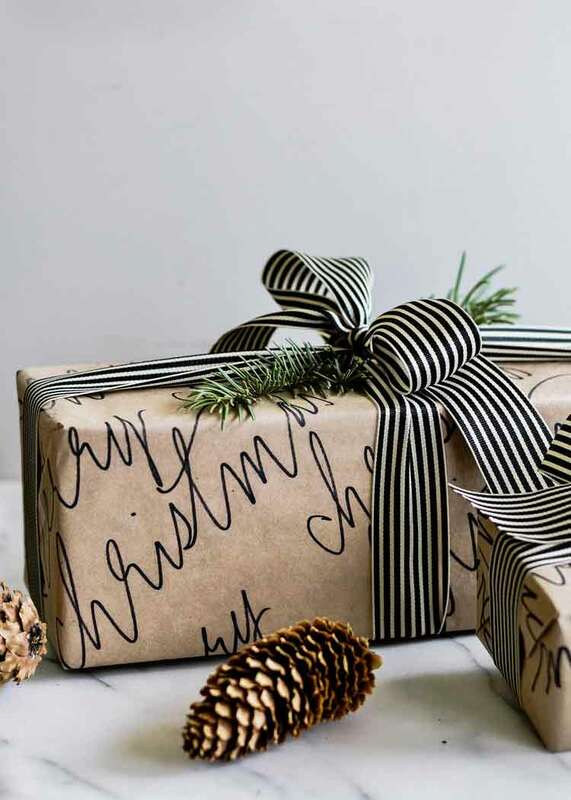 This DIY Calligraphy Wrapping Paper by Boxwood Avenue is simple, gorgeous and versatile. I feel very strongly that more attention should be paid to people doing the right things for the right reasons. Although, these are usually not the people who want or need the attention. My heart goes out to this organ donor and his family. I am also incredibly honored to share this earth with the members of this hospital staff in Idaho who showed such respect for the patient and his family. We used to have a Husqvarna Backpack Blower that was awesome for clearing leaves. Except you had to mix fuel and I always smelled like gasoline when I was done blowing leaves off the driveway. I didn’t like that. We just got a battery-powered Greenworks PRO Leaf Blower that I’m really enjoying. Is that weird to say? It’s instant gratification to blow the leaves off my deck. Handy Husband researched the heck out of which leaf blower would give us the most bang for our buck, which is funny since I seem to use this tool the most. Hmmm. Anyway, we got the one that is 80V and 145 MPH. It might not tackle a forest of leaves, but if you have a normal amount of leaves this blower seems to get the job done. Plus, it is light enough that my 8-year-old can use it. Lately I seem to be drawn to pictures that mix design elements that are old with design elements that are modern. This is a super fun way to use peg dolls! 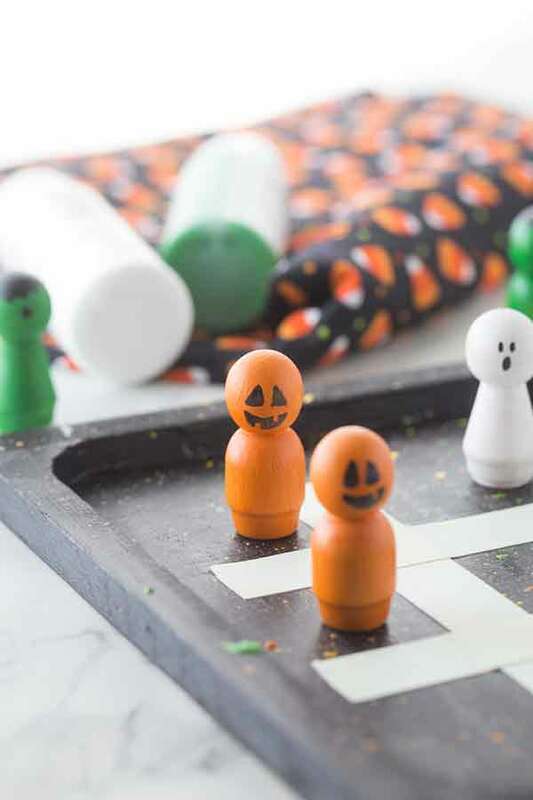 Katie from Made To Be A Momma has a great tutorial on how she painted these peg dolls for a tic tac toe board. I can imagine this craft being adapted for Christmas too. A million years ago I made a giant tic tac toe board out of a cardboard box and used mini pumpkins for the playing pieces. Worked like a charm for a harvest party. I tend to romanticize the idea of making a home out of a building that wasn’t intended to be a home. For example, a church, a barn, a mercantile. 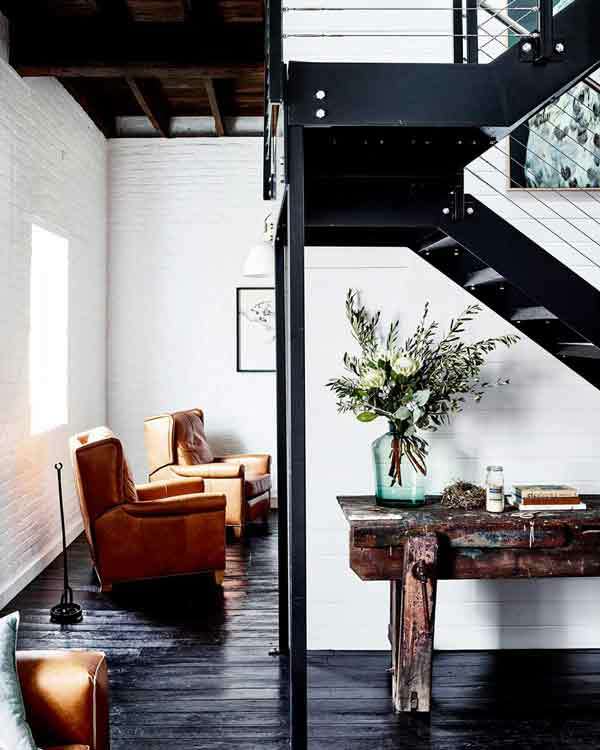 Read about how one couple in Australia transformed an old flour mill into their home here. 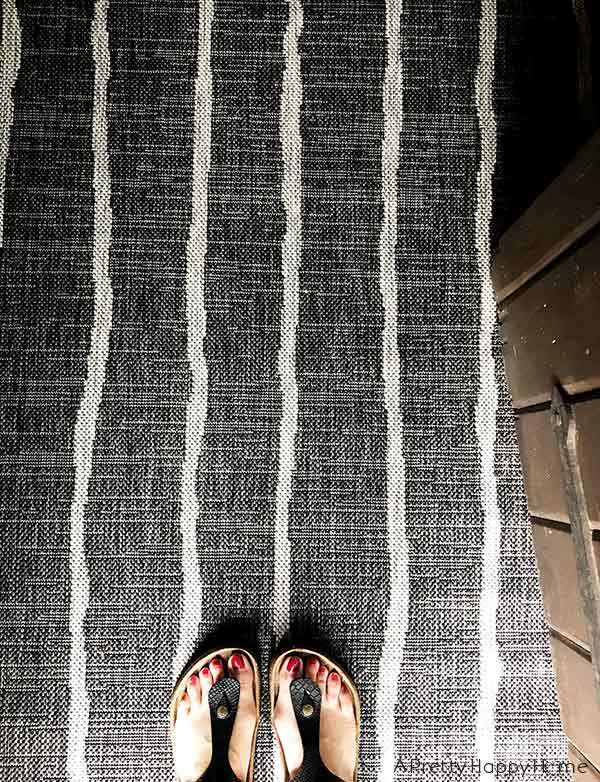 I recently purchased the Novogratz Villa Collection Sicily Indoor/Outdoor Area Rug to go on the concrete floor in our unfinished basement. You know the Novogratz family, right? The design team with 7 kids. They probably know a thing or seven two about dirt getting tracked in the house. I needed something DARK that wouldn’t show all the dirt my family tracks in. I also needed the rug to withstand moisture in case it gets wet in the basement or we are tracking in snow. Plus, I needed to be able to hose the rug off since I ordered the 5×7. Oh, and you know me, I wanted to spend under $100. I think this one was around $70. I also thought this rug that looks like hex tile looked fun. Oh, and this boho style rug in pastel colors made me want to decorate my basement in pinks and purples. 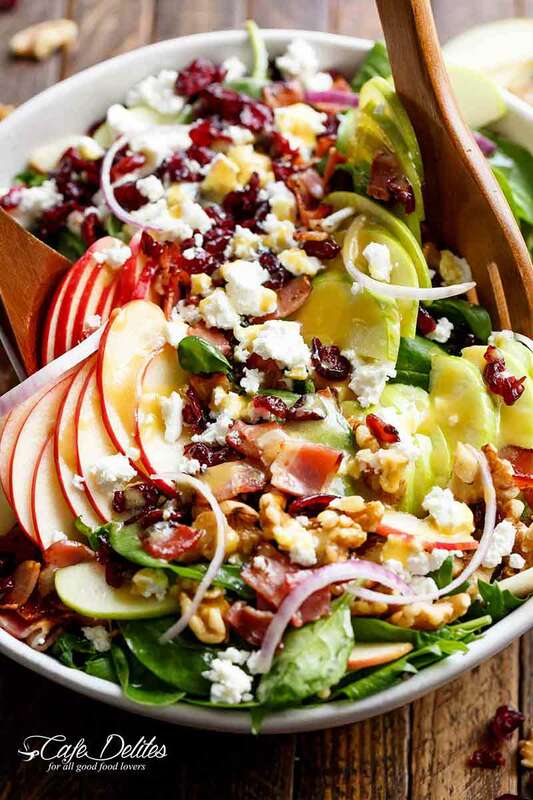 I’ve made this Honey Dijon Apple Bacon Salad by Cafe Delites TWICE this week. I substituted real maple syrup for the honey in the dijon dressing and that might be my most brilliant recipe substitution of all time. Not that I feel strongly about that topic or anything. 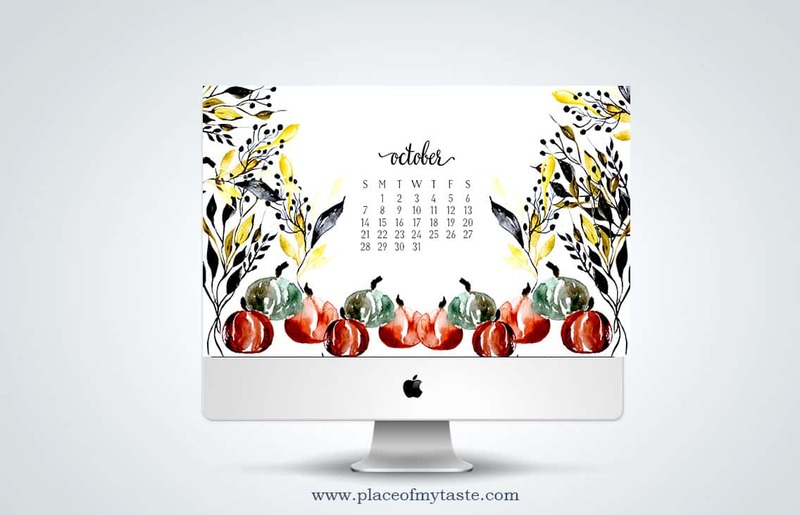 I know we are almost halfway through October, but this free computer wallpaper download by Place of My Taste is still making me happy. There’s an iPhone version too. Better late than never in sharing, right? That’s all from me! Hug your loved ones and I hope you have the happiest of weekends. Thank you so much for sharing about the leaf blower. I have been wanting a lightweight one and this sounds good. I have a leaf blower but it is electric and dragging a 100 foot cord around while blowing leaves is a pin in the neck. I will definitely check this out. oh yeah! I can see how the cord would be a pain! Good luck!